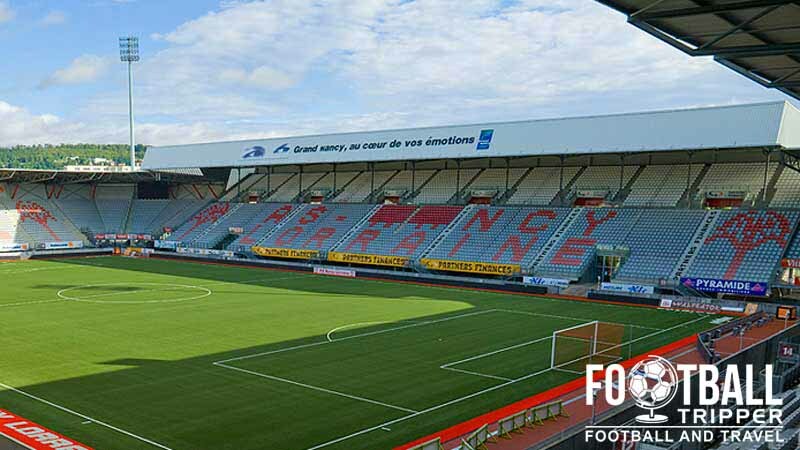 Stade Marcel Picot formerly known as Stade du Parc des Sports du Pont d’Essey is a purpose built football stadium located in the north-eastern commune of Tomblaine. 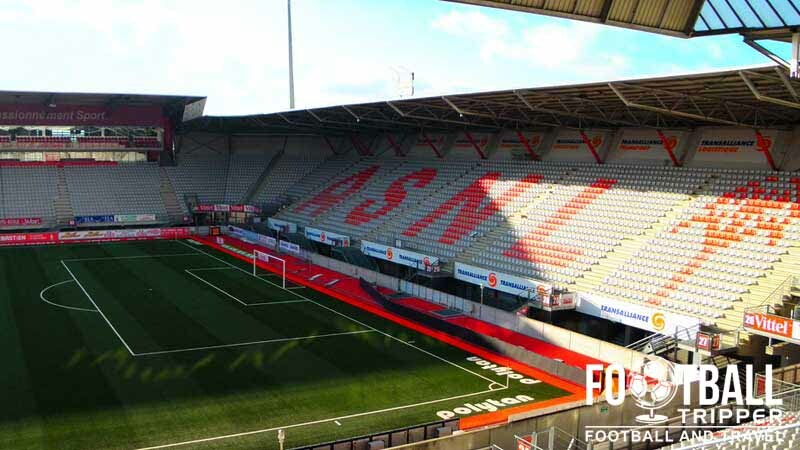 Home to local side AS Nancy, the 20,987 capacity ground was nominated but will no longer be used for the UEFA Euro 2016 Championships. 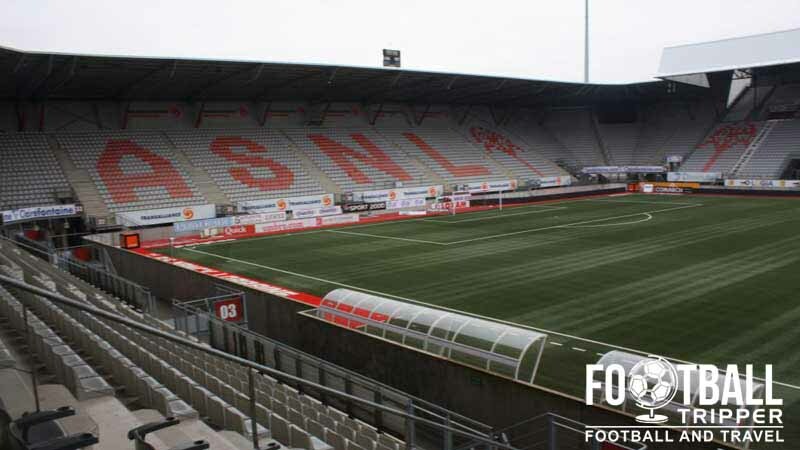 Originally known as Stade du Parc des Sports du Pont d’Essey (Essey Bridge Sports Park) upon opening in 1926 and until 1968 when it was renamed in honour of Marcel Picot who was the former president of FC Nancy and Stade Universitaire Lorrain. Initially the stadium consisted of just a single stand, and three banks of earth which were used as terrace sections. By the late 1970s the stadium had developed into a four sided football ground capable of seating 25,000 spectators. The first set of floodlights were installed in 1963, and a decade later a new grandstand was constructed. In 1978 the athletics track was completely removed as two goal-end stands were constructed on top of it to create a more intimate ground. The record attendance to date was set on 16th September 1976 when 30,384 supporters attended a match between Nancy and Saint-Etienne on 16th September 1976. Perhaps slightly contradictory to the peak capacity, it was much easier to admit additional fans into the stadium before the on-set of individual seating in the wake of Hillsborough and Heysel. 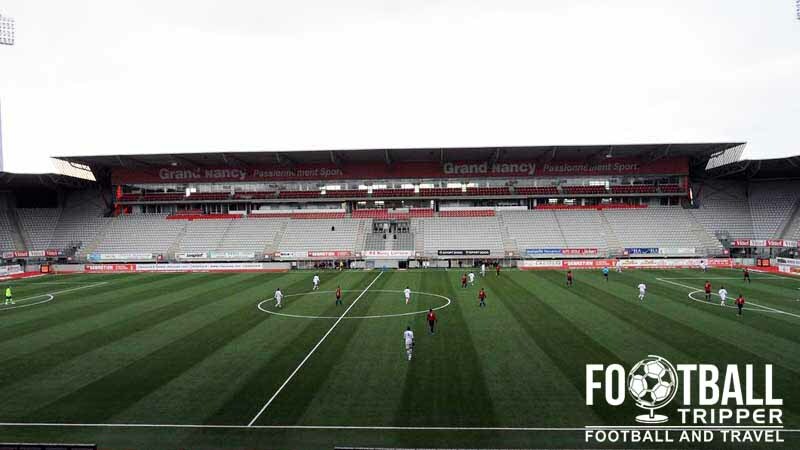 Stade Marcel Picot was completely rebuilt over a four year period between 1999 and 2003, as the facilities were becoming obsolete at the turn of the millennium. Whether or not this coincided with an upturn in the club’s fortunes remains to be seen. Nancy did however lift their first ever Coupe de France during the 2005/2006 season which saw them qualify for European football. Drawn in a Group containing the likes of Blackburn Rovers, Feyenoord, Wisla Krakow and FC Basel, Nancy qualified into the knock-out stages of the UEFA Cup before being eliminated by Shakhtar Donetsk. This is currently the highest level of football played at Stade Marcel-Picot although some might argue Michel Platini’s testimonial in 1988 which featured a prime Napoli Maradona and Pele was of a better quality! 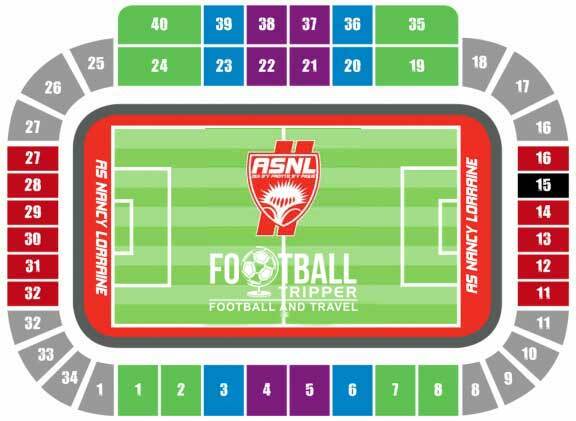 Stade Marcel Picot is comprised of four stands: North, East, South and West.